Otanisanso has the natural garden with backdrop of the scenic nature of mountains and the clear stream in it. The small river flows inside the hotel and it soften the heart of the guest. The cuisine is served by the fresh sea food from Senzaki port. 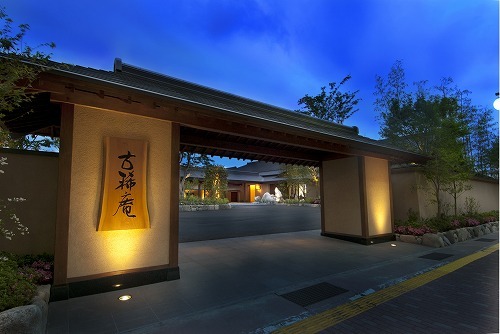 Nishinomiyabi Tokiwa is a Japanese-style inn representing traditional beauty and located in Yuda Onsen Resort. Yuda-onsen is one of the greatest hot spring resort that flows as much as 2 tons of water per day. Hokumon Yashiki is the ruins of Mori residence which is 10000 square meter in size at the center of the Hagi Castle town. 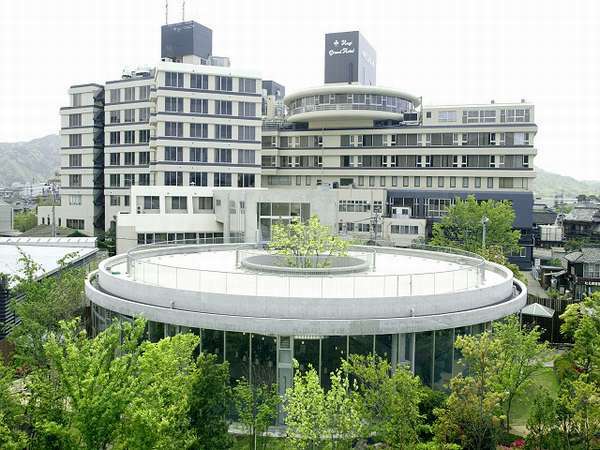 It is composed by 4 buildings and 3 different gardens. Please spend time at Hokumon Garden with the floral art of the four seasons. Hagihakkei Ganjima Besso is located at Ganjima on the banks of Matsumoto River which is counted among one of eight beautiful sceneries of Hagi. It is the refined space that is different from wherever. All rooms face the river side or canal side. An authentic Japanese-style inn with a total area of over 8900㎡, including gardens of 3300㎡, located at the side of Matsumoto river. 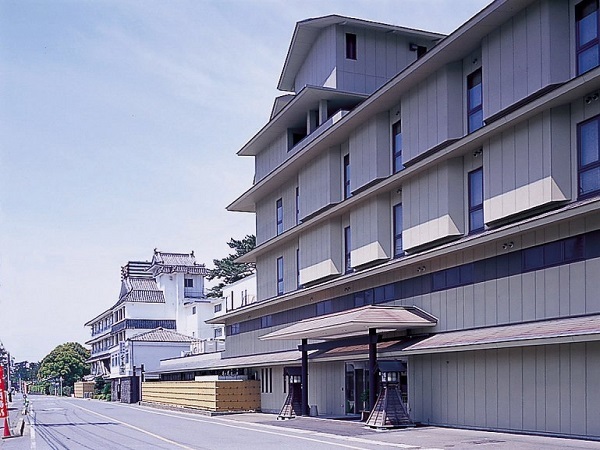 We represent history of Hagi and culture of Japan in our quiet appearance, providing 22 guest rooms and 3 VIP rooms. 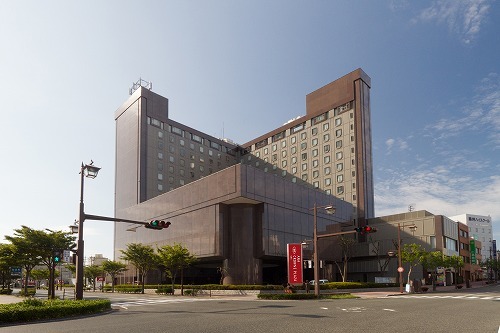 Tokyo Daiichi Shimonoseki Hotel is located in the heart of the city, surrounded by famous tourist spots like Akama Jingu Shrine, as well as Ganryu-jima Island, famous for the swordsmen Musashi Miyamoto and Kojiro Sasaki. The hotel offers free breakfast buffet, communal baths and free parking lots (on the first-come-first-served basis). Free Wi-Fi service and air purifier with humidifier are installed in all rooms. Suitable for sightseeing, business trip. Senshunraku is the castle hotel in old city Hagi. The ruines of Hagi Castle is in front of the hotel and backyard is white sand of Kikugahama Beach. 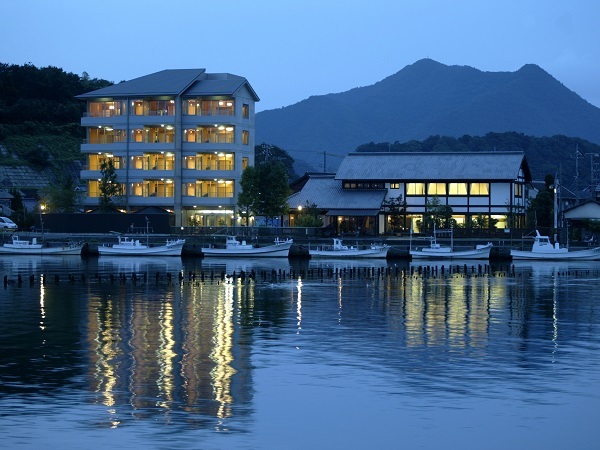 The rooms offer scenic views of Sea of Japan from just over the local pinewood trees. This is a quiet and elegant Japanese style ryokan. Hospitality is the motto of this hotel since founded and serve powdered green tea to the guests. Open-air bath is renewal opened on July 2007 as a western style. 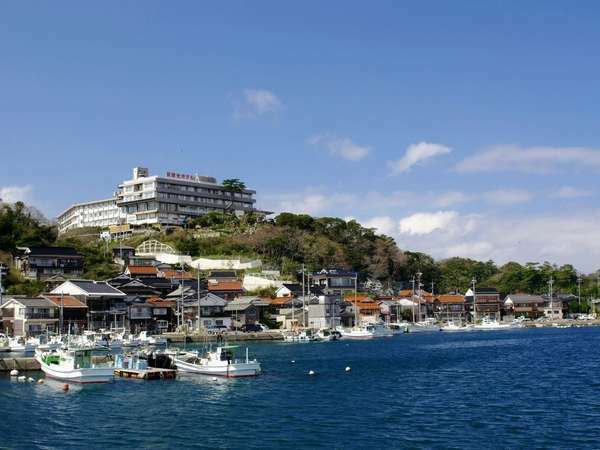 Hagi Kanko Hotel is located in the middle of the Kitanagato Coast Quasi-National Park and offers the exclusive views of the mountain and the ocean. 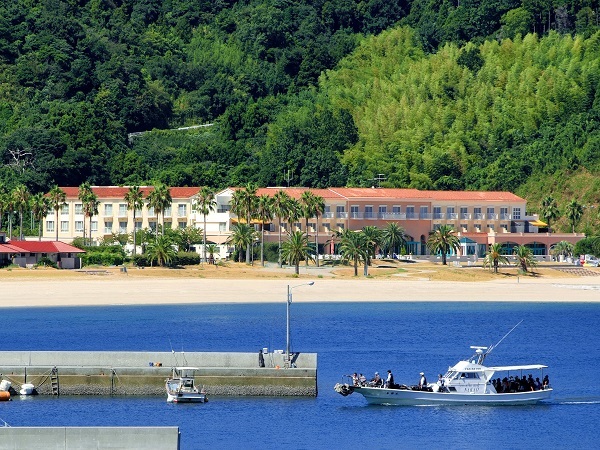 The panoramic views of Hagi Bay from the lobby and the open-air bath are superb. 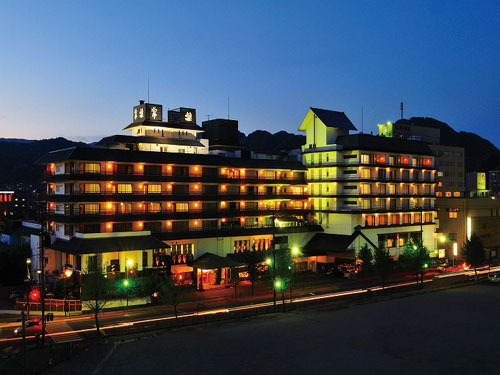 Hagi Grand Hotel Tenku is big in every way from its scope and facilities, and to its service. 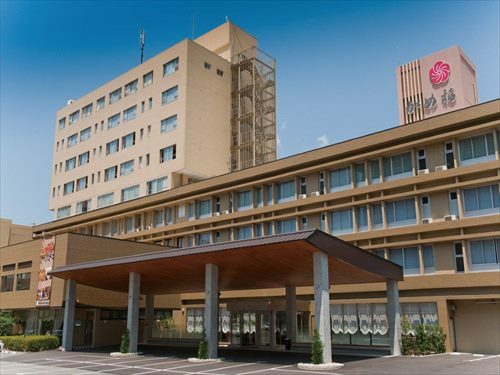 The hotel is situated in the heart of Hagi City and this location is unparalleled for sightseeing and leisure activities in Hagi and surrounding areas. 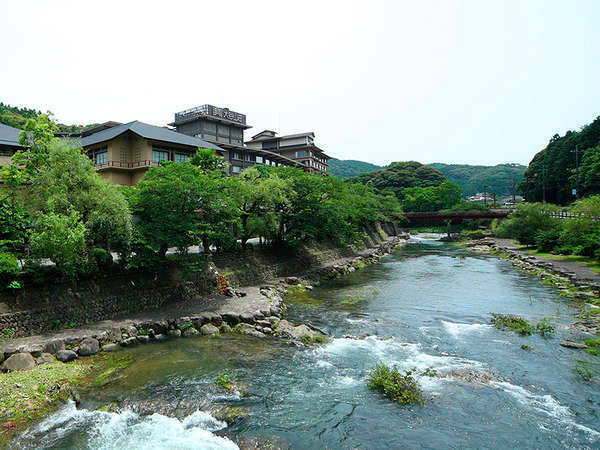 Yumoto Kanko Hotel Saikyo boasts the appearance of dignity which reflects the figures on the surface of clear stream Taineigawa River.Please enjoy bathing at hot spring bath and delicious cuisine prepared with seasonal ingredients from the Sea of Japan. 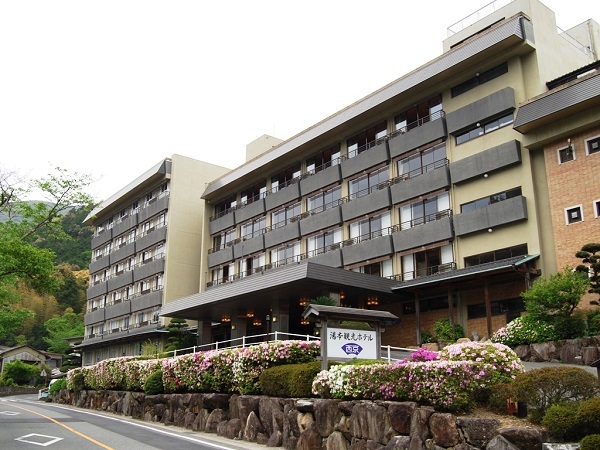 Hotel Matsumasa is located at the center of Yuda Onsen Resort and very convenient for sightseeing near by and amusement after dark.The onsen is famous in connection with Haiku Poet Santoka and there is a popular open-air bath sourced 100% hot spring. 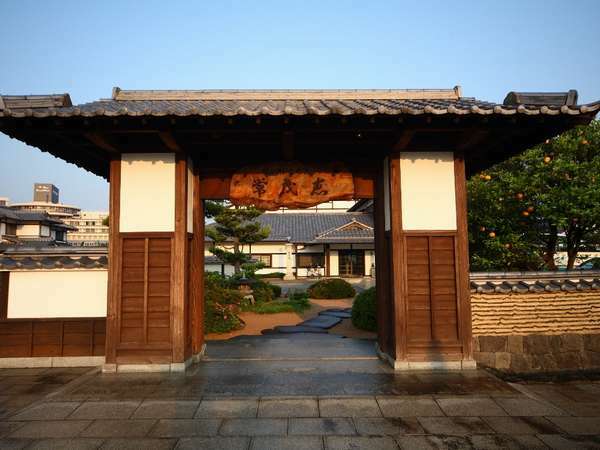 Hagihonjin is located near the Shoin Jinja-Shrine,the famous place in castle town,Hagi.The hotel reproduced the castle town by exploring the 14 different baths named Yunomaru.Please enjoy at the unique open-air bath with the atmosphere of castle town. 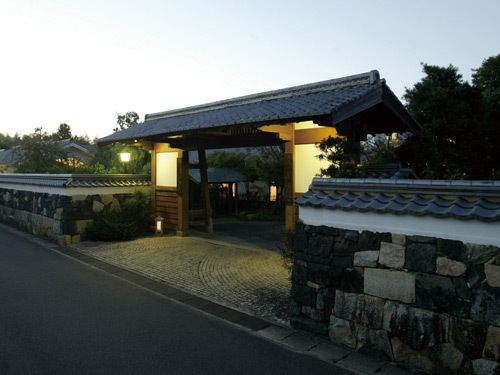 It is located in the historic Udaonsen, welcomes to everyone with relaxed atmosphere, such as the villa. Located in the city center, convenient for business and sightseeing. Karato fish market, the Former British Consulate building and other historical sites are nearby. Moji Port over the sea is 5 min. by boat from the port in front of the hotel. 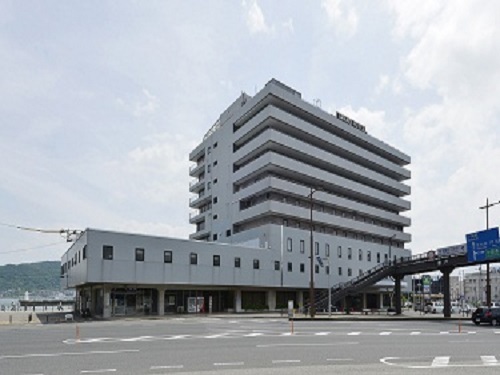 Yamaguchi Grand Hotel is situated in front of JR Shinkansen Shin-Yamaguchi Station which is the entrance to Yamaguchi prefecture. This is a city-hotel with very easy to access and the perfect place to stay for business and sightseeing. 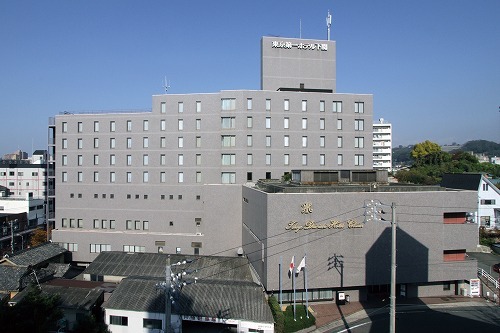 Hotel New Tanaka is the largest hotel in Yamaguchi Prefecture and the only one city hotel in Yuda Hot Spring. All the rooms are equipped with semi-double beds. The hotel is suitable from one person stay to a big seminar with many guests. 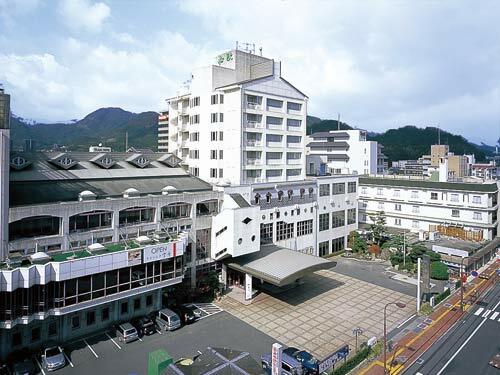 Hotel Kamefuku is located at Yuda Onsen, the tourist center in Yamaguchi Prefecture. Please enjoy and relax at hot spring bath with abundant spring water, modern facilities, spacious interior and delicious menu prepared with seasonal ingredients. 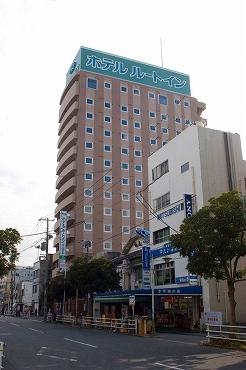 Hotel Viainn Shimonoseki is located at 1 minute walk from JR Shimonoseki Station east exit and best location for business and sightseeing. It is easy access to popular places such as fish market and aquarium. All rooms are equipped free LAN connection. 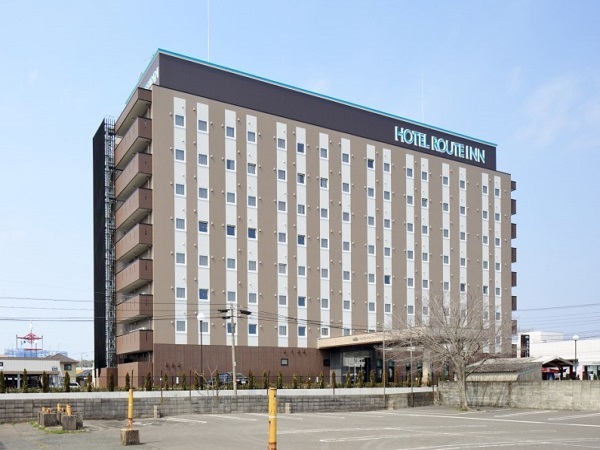 Hotel Route Inn Tokuyama- Ekimae is at good location about 3-minute walk from JR Shinkansen Tokuyama Station and most suitable as the base of business and sightseeing. 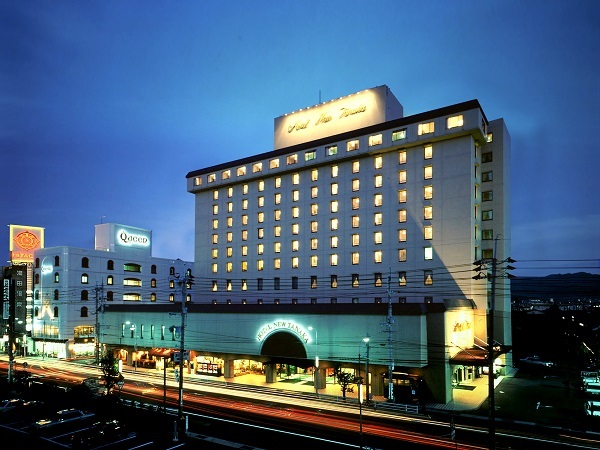 Iwakuni Kokusai Kanko Hotel is best located as overlooking the famous Kintai-kyo Bridge. 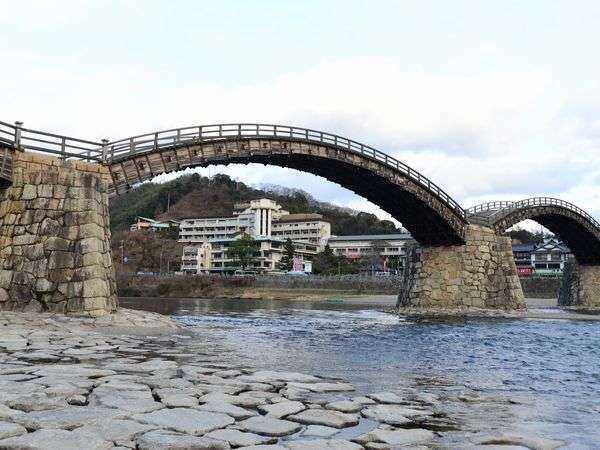 It offers the seasonal attractiveness of the castle town of Iwakuni like cherry blossoms in spring, ukai in summer and colored leaves in autumn. Hotel and Resort Sunshine Sazan Seto is a real southern European type bayside resort hotel. 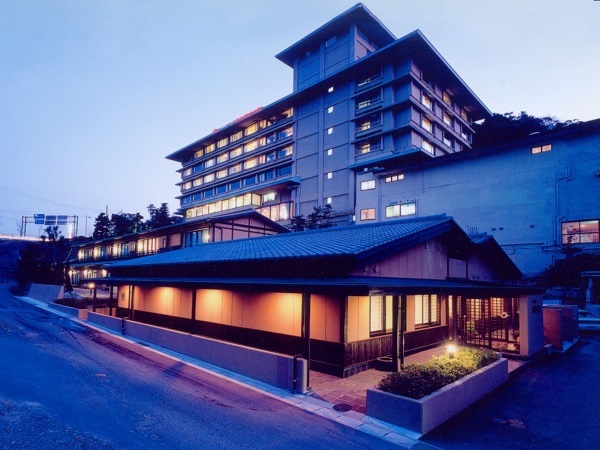 The hotel is equipped with all season swimming pool and hot spring bath with sauna. The hotel serves cross over menu dinner coordinated French and Japanese.